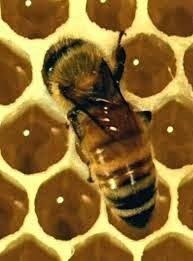 I'm Curious Too: Why Do Bees Build Hexagonal Cells? 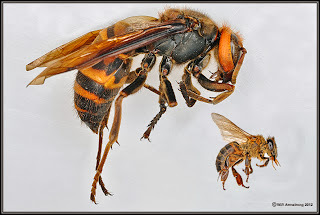 Have you ever wondered why bees build hexagon-shaped cells? Isn't it fascinating? Why hexagon? Why not other shapes? 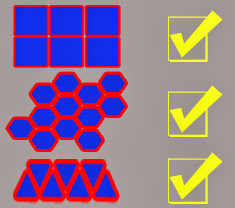 And these apparently simple, instinct-driven creatures could build the perfect-six-sided-hexagon which, when you stack them up together, form a perfect array of honeycomb. More than 2000 years ago, Marcus Terentius Varro proposed an answer to this question. He thought maybe honeycomb built of hexagons can hold more honey and require less building wax, and this answer has since been called "The Honeybee Conjecture". First up, we all know that honeycombs store honey. Honey is what sustains the entire colony, so obviously it's very precious. A typical colony consists of 100,000 individuals, so you need a lot of honey to keep them alive. To store that much honey, you'll need a warehouse big enough to store them, but small enough to prevent thieves like the Japanese Giant Hornets (as long as your thumb) from breaking in. In fact a single cell is just big enough to let a single worker pass through. So you need to start with a shape. Shapes like circle, pentagon, heptagon and octagon are bad shapes because you can't stack them up together without leaving gaps. And when you're talking about building a place to store as much honey as possible, every gap is considered a waste of space. So that leaves us with triangle, square and hexagon. Out of these three, why hexagon? It turns out that hexagon uses the least wax to produce compared to triangle and square of the same cross-sectional area. To produce a square with area, A=100cm2, the circumference is 40.0 cm. To produce a triangle with area, A=100cm2, the circumference is 45.588 cm. To produce a hexagon with area, A=100cm2, the circumference is only 37.224 cm. Ironically, the one with the least number of sides (triangle) is the one that requires the most wax to build. This means that by building hexagon-shaped cells, the bees can reduce the usage of wax, which is also made from honey (now that makes sense). Holy BEEz.